The Valarjar Emissary / Quartermaster is Valdemar Stormseeker at 60,51 (Valdisdall, near the flight master) in Stormheim. Dreamweavers 98-110 Val'sharah ~0/12k Honored That's Val'sharah Folks! At level 110 you will get Uniting the Isles quest. The Wardens target all 5 zones with WANTED and DANGER quests. You will always get 1 reputation Insignia like Greater Highmountain Tribe Insignia. The list is at the bottom of this post. You can get +250 reputation Insignia (like Highmountain Tribe Insignia) from lots of treasure chests in all 5 zones. I'm not sure if it's correct, but from my experience you get +250 reputation from running dungeons on any difficulty. In Wowhead, to track the quest rewards from the Stormheim storyline, refer to the quest listing in the "Quests" tab. The Hammer of Khaz'goroth will reward you with an ilvl 800 Hands. I've seen a couple players with the appearance of a female Valarjar, usually while their in combat. I'm not sure if they have all been female characters and that's why they were female Valarjar and not male. What item causes this appearance? As of June 27th 2017, you can now acquire the parts you need to create The Dragonslayers by defeating Odyn in The Trial of Valor, on any difficulty. 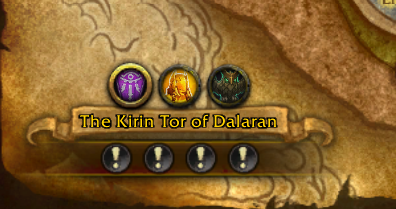 Getting Exalted with "Odyn" the "Prime Designate" of Azeroth gives you almost nothing! Valarjar is a new faction in Legion with recipes, pets, and gear as rewards. Hitting Revered with this faction is required for Broken Isles Diplomat and hitting Friendly is required for Uniting the Isles. You will also want to grind reputation if you are a Blacksmith or Leatherworker for recipes, or want reagents for Mining or Enchanting. More details in the Valarjar Reputation Guide.